This slim, spill-proof Bluetooth speaker packs a punch, and the ability to charge your phone. It’s nice to have speakers on our iPhones, but let’s face it: when it comes to bumping tunes, they just don’t cut it. So when it comes to mobile music, you want a Bluetooth speaker that’s built to travel and sounds great. VAVA Voom20 Bluetooth Speaker sports two 8-watt drivers and two passive subwoofers, meaning it sounds great and packs a punch. This despite a compact package that’s slim enough to slip into your back pocket. Even better, it’s got an IPX5 splash-proof rating, meaning you can take it to the beach, the pool, and other wet locales. With 8 hours of battery life, it can charge other USB devices too. All that makes this is one handy companion for jamming on the go. 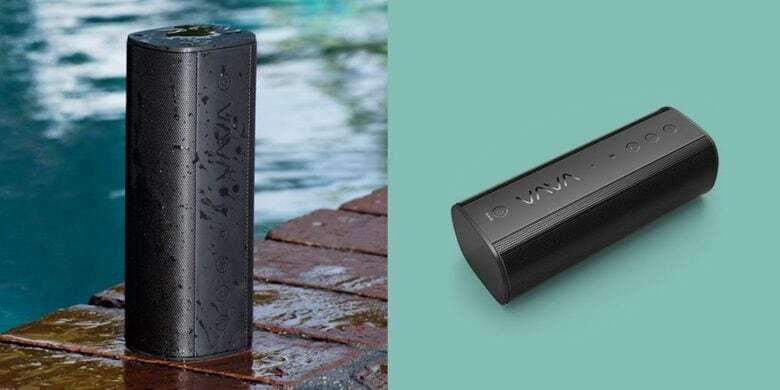 Buy now: Get a VAVA Voom20 Bluetooth Speaker for $49.99, that’s 23 percent off the usual price.